An antipruritic is a substance that relieves itching. Antipruritic herbs can be helpful for contact dermatitis or any other itchy skin condition. These are most helpful when used externally—consider an antipruritic bath the next time you get poison ivy! 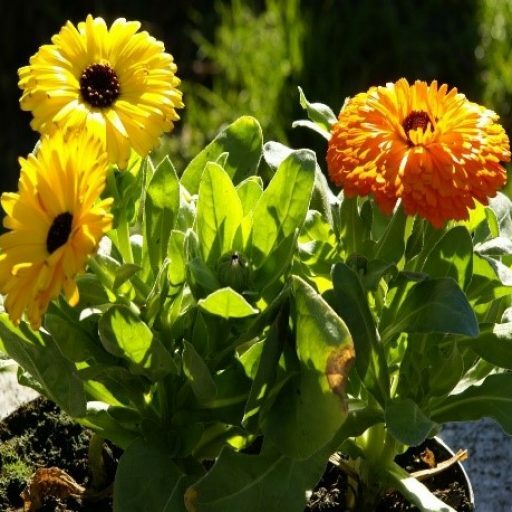 Antipruritic herbs include calendula, oats, liquorice, and chickweed. 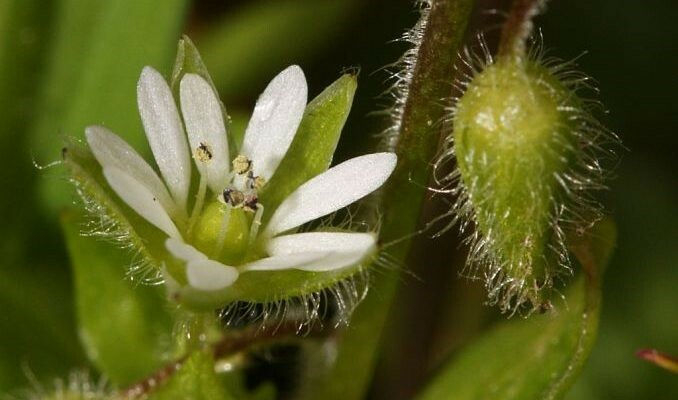 CHICKWEED - (Stellaria media) - Aerial parts and root. Chickweed is best known for its soothing and healing quality, and has been used traditionally as an external remedy for cuts, wounds, minor burns, abscesses and skin irritations, especially such as itching, dryness and irritation due to dermatitis, eczema or psoriasis.The high saponin content of this herb is thought to be the reason for its effectiveness in relieving skin problems It can even improve the appearance of scars and wrinkles! Applying poultices or compresses of this herb to wounds stimulates circulation and blood flow while protecting against infections, which speeds the healing process. Dose: Tea 2 tsp dried herb to each cup or 10z to 1 pint of boiling water, infuse for 15 mins. Fresh herb, double the quantity, simmer for 10 mins 1 cup 3x/day. Oil for eczema. Fill a suitable pot with fresh herb or dried herb, press down, pour over oil and leave for 2 weeks. Strain and bottle, use for eczema or psoriasis when needed. Astringents tighten up the skin and help to stop the formation and flow of discharge. Astringents also constrict pores and remove dead skin cells and excess oils, tonifying the skin. Astringent Herbs include geranium, goldenrod, goldenseal, meadowsweet, nettle, rosemary, sage, and yarrow. Lady’s mantle is a drying alterative, anti-rheumatic, vulnerary, and emmenogogue. It is also considered to be a nervine by some. Lady’s mantle deeply stimulates wound healing and is often used for post-partum hemorrhage. Especially useful for weepy eczema, lady’s mantle is helpful in any skin issue that is need of astringency. It is easy to grow and start from the seed in the garden, and does well in partial shade. 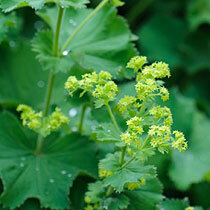 Lady’s mantle is a perennial, though it can even be harvested in the first year as the flowers begin to bloom. Raspberry leaf is often thought of as an astringent for the digestive tract (it is very helpful for diarrhea) and reproductive system tonic, but can also be used for the skin. Raspberry leaf is tonic and mineral rich, containing calcium, magnesium and manganese. Raspberry plants are easy to find in the wild — gather the young leaves before the plant begins to flower or fruit. 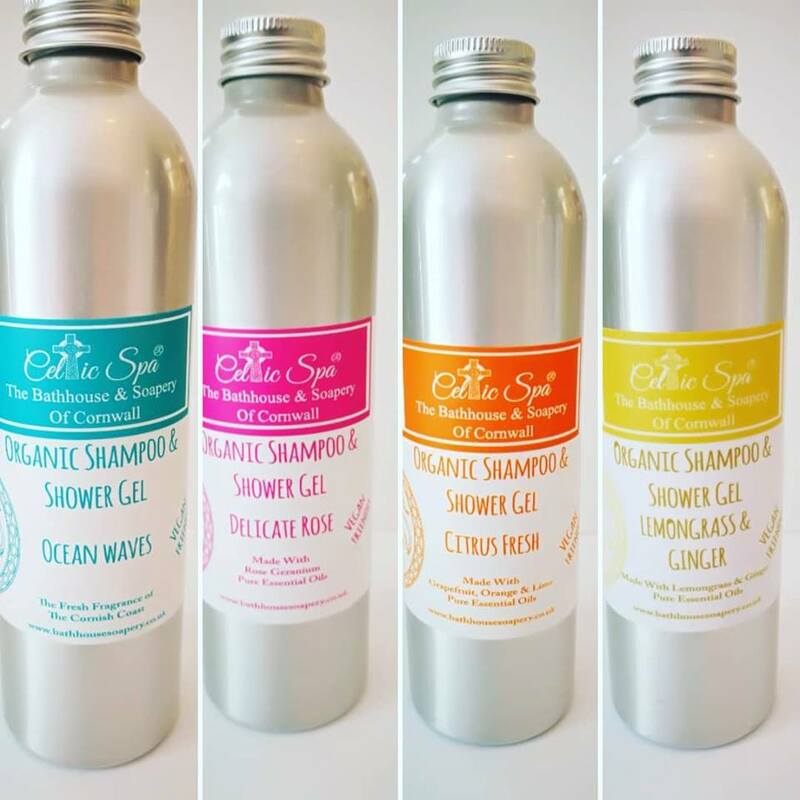 Emollients soften and soothe irritated or inflamed skin, moisturise, and help to replenish the skin’s natural oils. 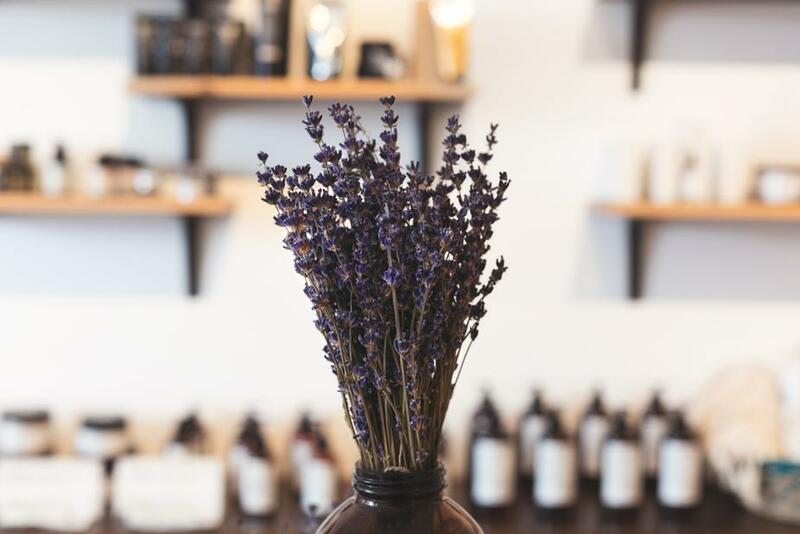 Emollient herbs are usually rich in mucilage (gelatinous molecules found in some plants, consisting of large sugar chains) and can be particularly helpful for psoriasis and eczema or for ageing skin. Emollient herbs are best used as poultices, compresses, or infusion-based creams. When used internally, emollient herbs are usually referred to as demulcents. Used internally or externally, herbs with mucilage lubricate and soothe tissue. Emollient/demulcent herbs include marshmallow root, comfrey root and leaf, and slippery elm bark. 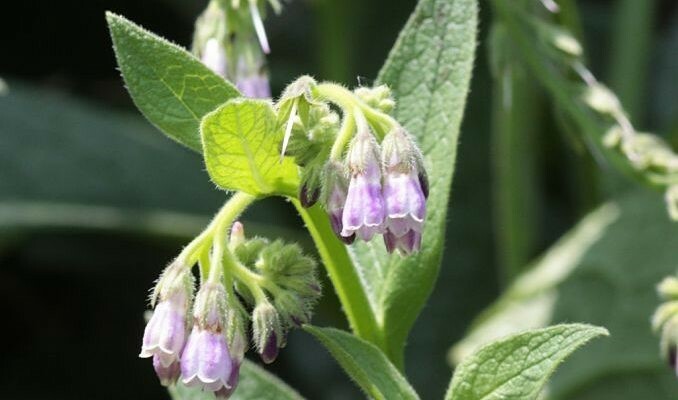 I have used Comfrey for a long time in my Eczema Cream and i’ve seen the results on how it has helped people. Now Comfrey is also known as ‘knitbone’, comfrey is a great skin healing herb. Comfrey is said to help ‘knit’ cells back together after a laceration or abrasion. 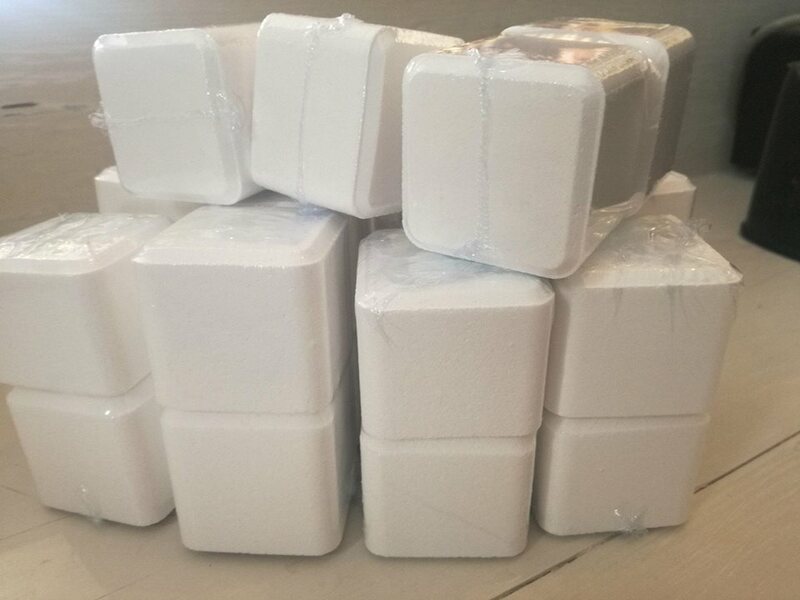 It contains a cosmeceutical called allantoin which is used to treat wounds, ulcers, burns, sunburns, eczema, psoriasis, impetigo, and acne and other skin eruptions. Allantoin works as an antioxidant, encourages the generation of new cells and speeds up the shedding of dead skin cells. It has skin softening properties and is said to act as a remover of scaly tissue. Dose: Poultice, A mucilage prepared from the fresh leaves or root, Oil, place the dried leaves in a clean jar, cover with oil and leave to steep for 2 - 3 weeks, strain and use as needed on affected areas. Slippery elm contains antioxidants as well as anti-inflammatory properties. In fact, the inner bark also contains various nutrients, such as tannins, calcium, iron, magnesium, manganese, phosphorus, potassium, selenium, zinc, beta-carotene and vitamins B1, B2, B3 and C. Slippery Elm Bark coats and soothes the mucous membranes of the intestinal system, while absorbing toxins. Beneficial for both Psoriasis and Eczema. It can also be used externally in the form of paste to soothe affected areas. 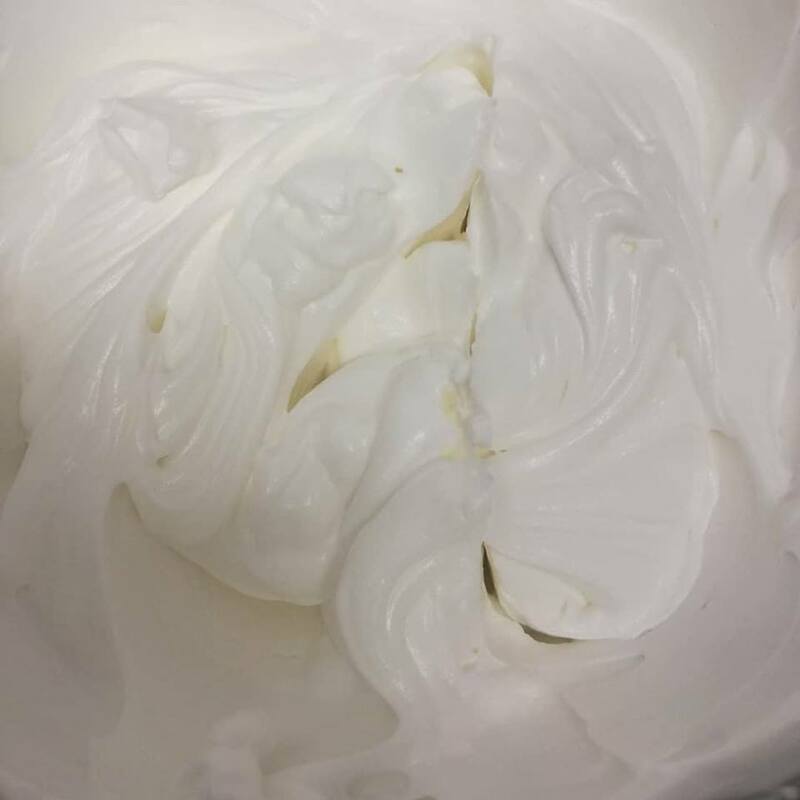 Dose: Powder, mix half a spoon of powder with water so it forms a paste and add to a cup of water or milk or sprinkle on cereal, Poultice, add 1 - 2 tsps to a small amount of water to form a paste, spread over a dressing and place on affected area. Herbs that aid in the wound healing process are called vulneraries. Vulnerary herbs can be used for major wounds and for the micro-wounds, sores, or scars caused by certain skin conditions. Below are a couple of herbal vulneraries. Calendula, comfrey, chickweed, lavender, marshmallow, St. John’s wort, tulsi, aloe, and yarrow can also be used for this purpose. 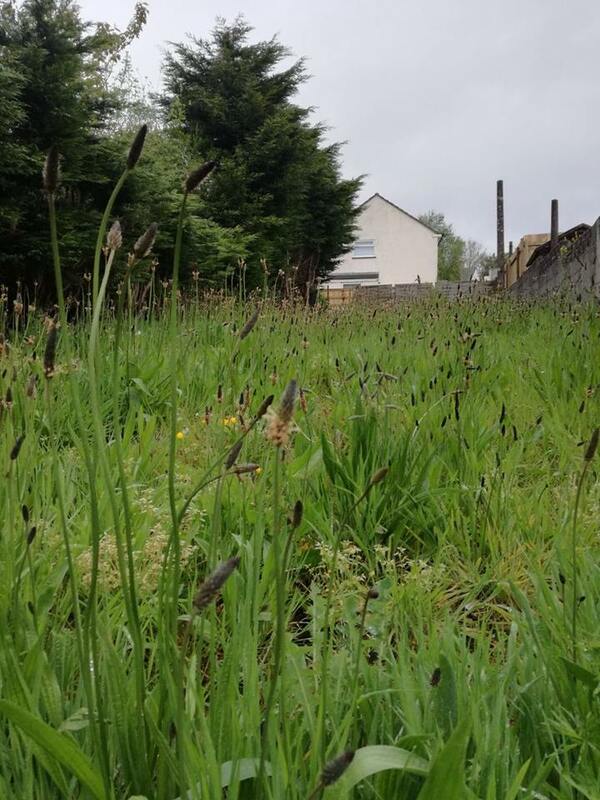 Plantain is easy to find in the wild—check your yard! Harvest the young leaves any time during the season while the plant is not in flower. Plantain is cooling and moist, but at the same time can have an astringent quality. This makes plantain a fantastic vulnerary because it not only tonifies the skin through its astringent properties but also moistens and soothes the skin. Plantain can be used as a poultice for bites and stings and also to draw things out from beneath the upper layer of the skin. 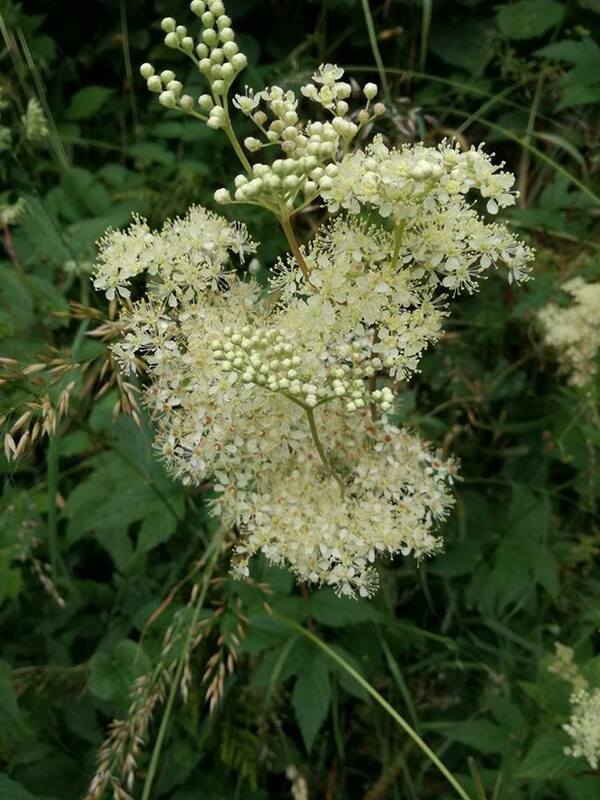 It is also anti-inflammatory and mildly anti-bacterial, contributing to its usefulness for staph infections, boils, allergic rashes, eczema, hives, acne, and burns. In addition to its vulnerary properties, St. John’s wort is also anti-inflammatory, anti-viral, astringent, and anti-bacterial —all good qualities to have in a skin remedy! Most commonly known for its anti-depressant qualities, St. John’s wort is a warming remedy that also strengthens the capillaries and relieves shooting pain, neuralgia, and tingling or burning sensations in the skin. A clinical trial conducted by Shempp et al. (2003) tested a cream containing St. John’s wort and found that it was significantly useful for dermatitis. Try St. John’s wort infused oil on sunburn, neuralgia, dermatitis, or minor cuts and scrapes. Well for a start the Jars and ingredients finally arrived for the new Body Scrub Bar, all i need to do now is make the oil and it will be ready to go, hopefully everything should be up and running in time for half term, so i will post pictures on my next update, as i dont want to ruin the surprise. 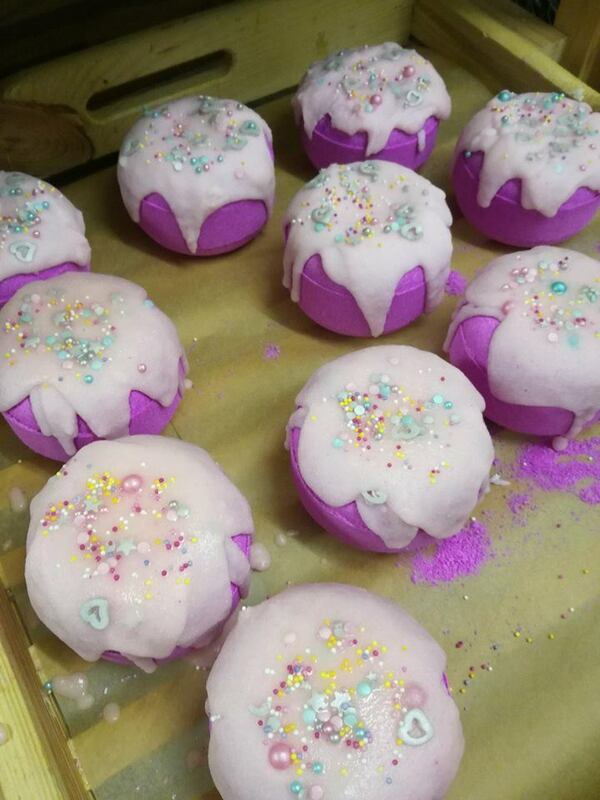 This week was all about finishing off topping up the bath bombs and making sample batches of our New Shower Steamers, the first lot i made were Peppermint & Eucalyptus, Now i made shower bombs about 6 years ago, but they weren't that successful as people couldn't get their head around them, but now, thanks to a lot of big companies making them, they have become the new norm. I gave one to a friend to try and this is what she said about them. "love the smell so nice in the steam. Lasted my whole shower had to stay in extra to finish it up! It was quite a subtle fizz. loved it will defo need to invest in some made my shower feel a little more luxurious". 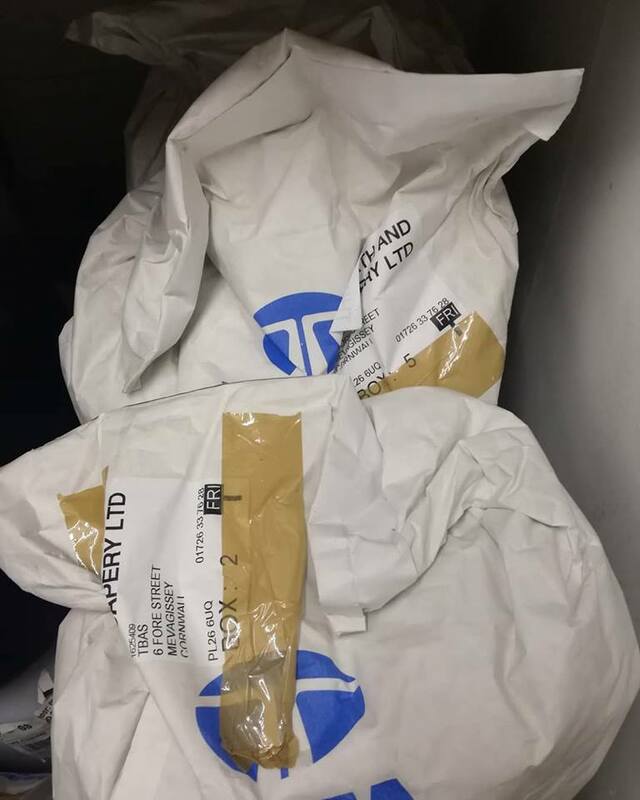 They have been packed in 2's and will be on the website soon. I have still to decide what fragrance to do the second one. 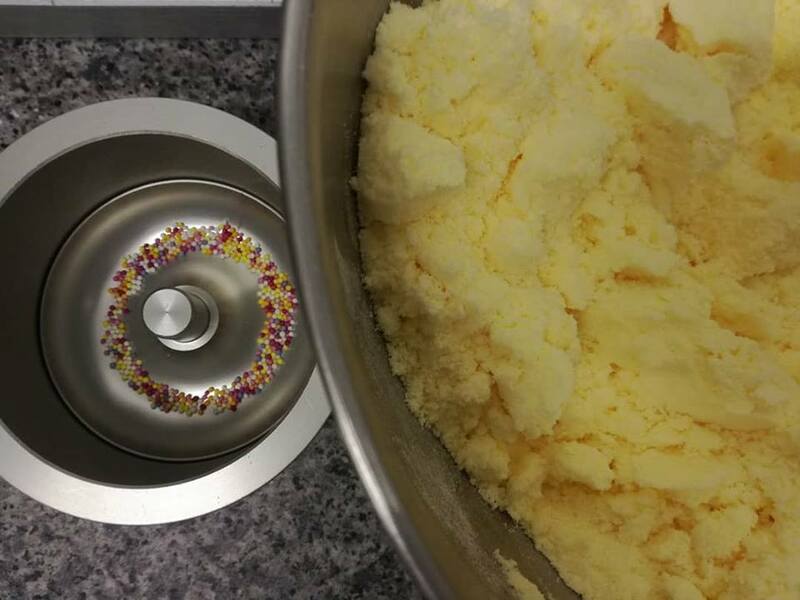 The next product i was playing with this week, was the Bubbling Doh! Bombs, now with the laws over here, we're not allowed to make skincare that looks like food, due to the Food Imitation Act, now the only way around this that i have found is to brightly colour them so at the moment i am doing 2 fragrances, Jelly Bean and Raspberry Ripple. The Jelly Bean, will be bright yellow, with a bright orange drizzle and the Raspberry Ripple is a Bright Pink with a softer pink frosting/ drizzle.... Now thanks to my hubby stating i need to learn a bit of finesse with my pouring, i have been watching you tube videos this morning, to teach me how to drizzle lol and i think i have the idea, but personally i don't think mine looked to bad, yes this picture shows the ones where i just poured the frosting over, but the next batch will look better (hopefully). Again, these will be on the website soon, i just need to make the Jelly Bean ones, they are quite hefty in weight and size so they will be £2.99 each, you can probably get about 2/3 baths out of one bomb, that's if you don't mind taking a hammer and chisel to it, but at the moment they will make the bath slippy as these don't have an emulsifier in them, but that should be arriving on Monday, so all Bubbling Doh! Bombs will be dispersing after that, I can't wait to try one of these babies. So what else did I make this week.... apart from bath bombs, I topped up the skincare, Lip Balms and started making soaps, as most are getting quite low, its getting harder to make now as our season is starting to pick up, so soon i will need all hands on deck, getting Soapy Hubby to serve while i make, Thank you for reading and i will speak to you all next week.